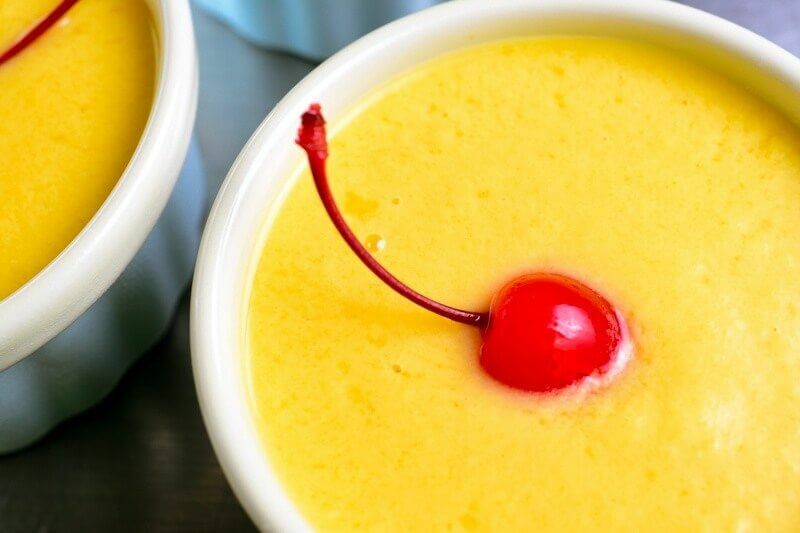 Ever tried a fresh mango pudding? This would be a common dessert you'll find on most Chinese restaurant menus and indeed one worthy of your attention. In fact, it would be very unlikely for me not to order one whenever I go out for a Chinese dinner. That fresh taste of ripe mangoes just perfectly cleanses the palate after a very flavorful main course. I have to admit some laziness on my part though, choosing to constantly order one of my favorite desserts from a restaurant despite its very simple preparation. Well, this time I'm definitely making a good batch all by myself! Without much secrets, the excellence of this dish solely relies on your choice of mangoes. 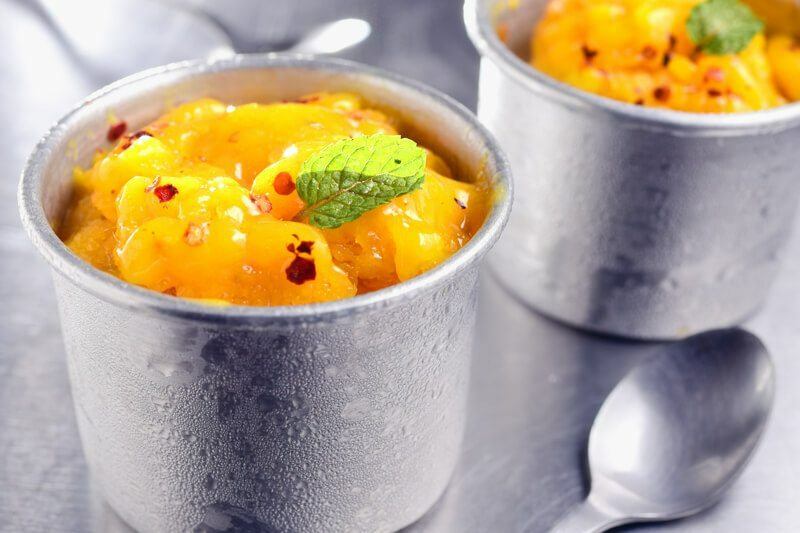 No amount of additional sugar could make up for the unique natural sweetness that you'll get from picking perfectly ripe mangoes for this dish. So how do you check on a mango for its ripeness? Go by their fragrance. . . the sweeter they smell, the sweeter they'll taste. 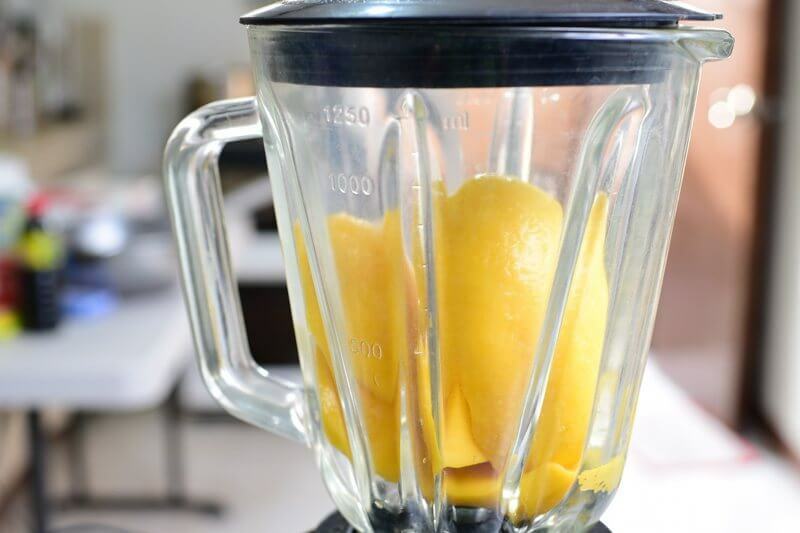 Get your mangoes peeled and cored, then puree them in a blender. You may add a bit of the milk called for in this recipe if you ever find it difficult to get them smoothly blended up. Meanwhile, dissolve the powdered gelatin and sugar in hot water. You may also do this in a saucepan set over very low heat, stirring just until the sugar is fully dissolved. Almost done. 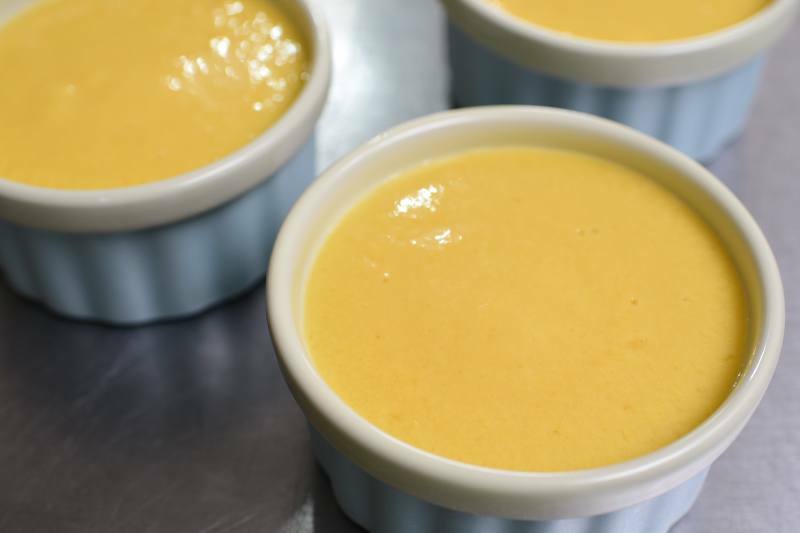 The mango puree is then mixed with the evaporated milk and the sugar-gelatin mixture. 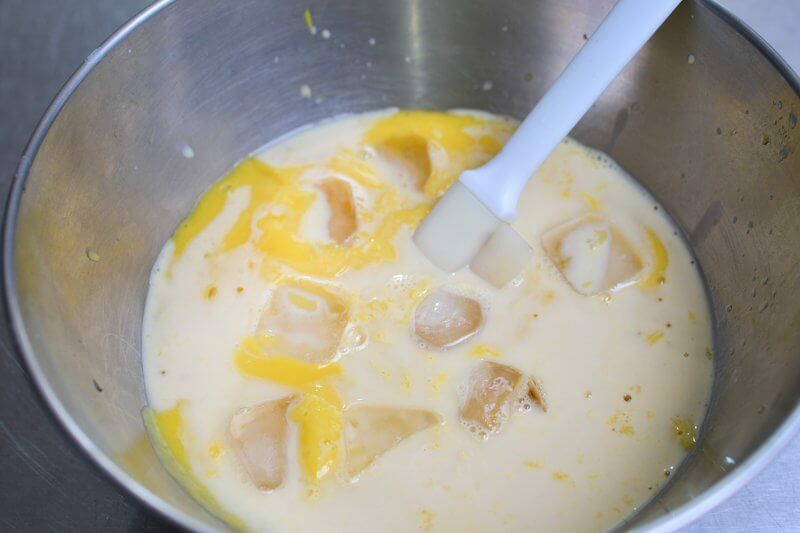 Adding a few ice cubes in the mix would keep that hot gelatin from “cooking” those mangoes and possibly curdling the milk. Once evenly mixed, divide the mixture into small single-serve ramekins and allow them to set in the chiller for at least four hours. 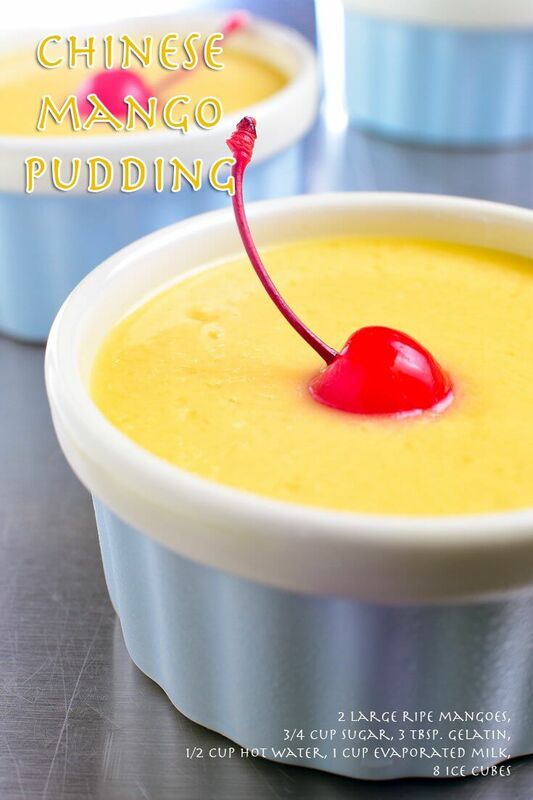 This long wait would be very well-rewarded – this fresh mango pudding is just so great served chilled! 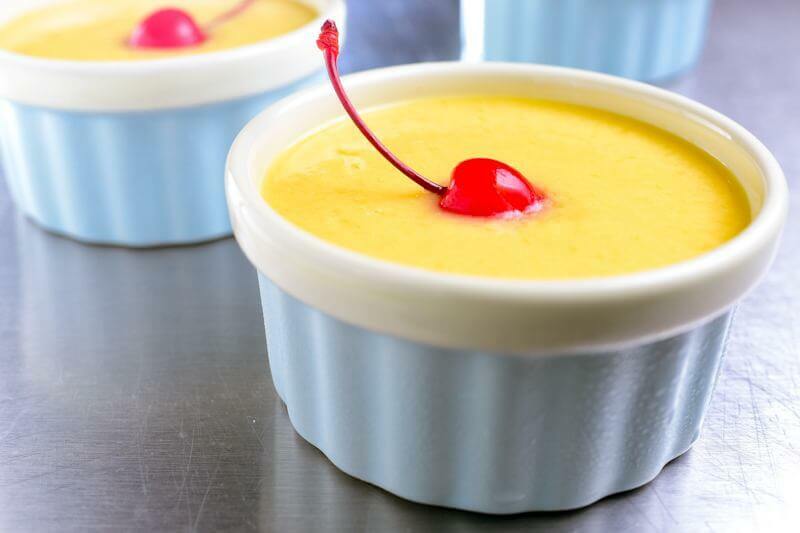 This dessert would typically be served unmolded onto a neat little dessert platter topped with some Maraschino cherries or some additional slices of mango. 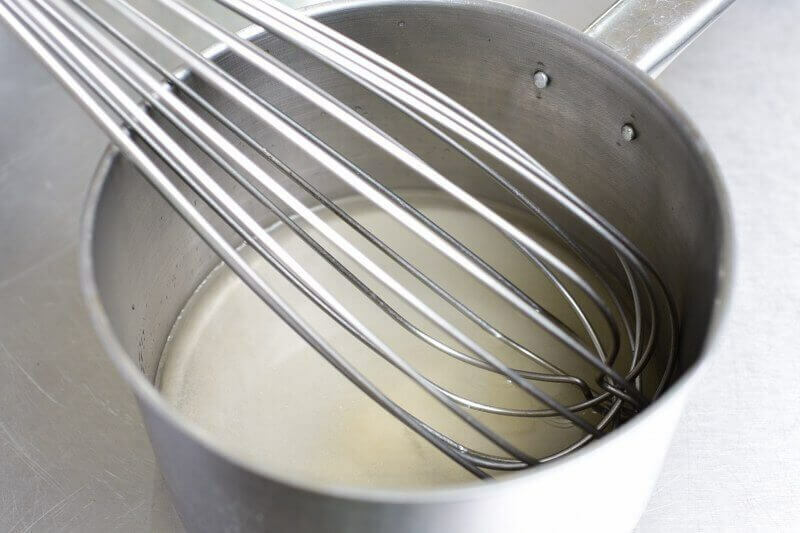 Just slide a metal spatula or a simple butter knife along the edges of the ramekin and the pudding should easily slide out. I prefer serving them straight in those molds though – I'd take every last bit of cold that those chilled ramekins could keep. 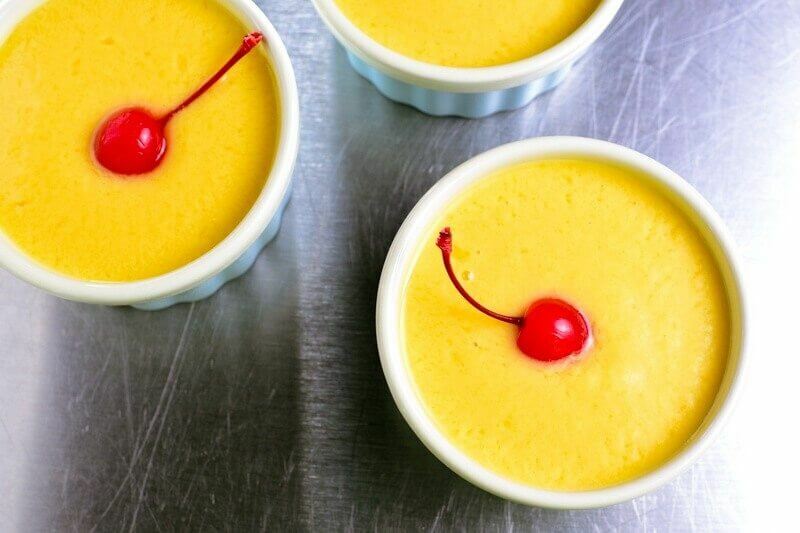 Also, serving them this way keeps all the good juices from this pudding where it should be – inside that ramekin, with every drop waiting to be slurped on.